We are in the midst of spring and the warm weather brings us outdoors more and more, and so the backyard projects begin! 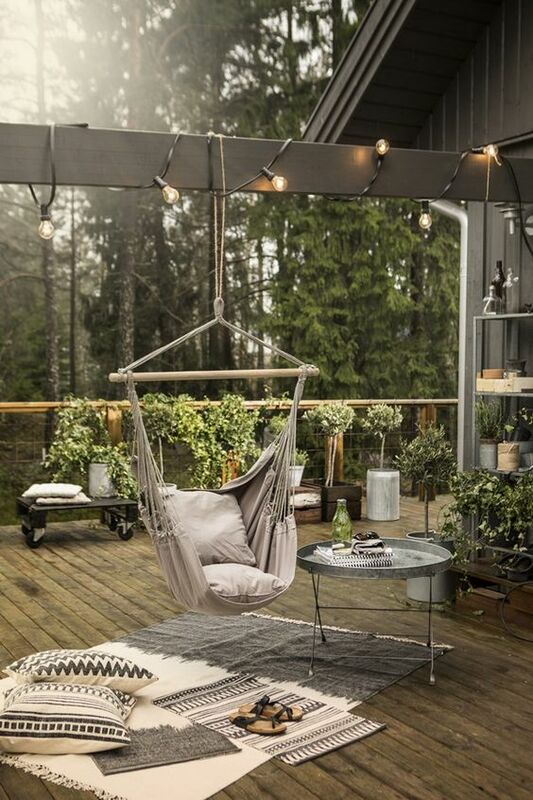 The outdoor projects are as satisfying as unwinding in that outdoor space. Or is it, the projects make the unwind time more satisfying? 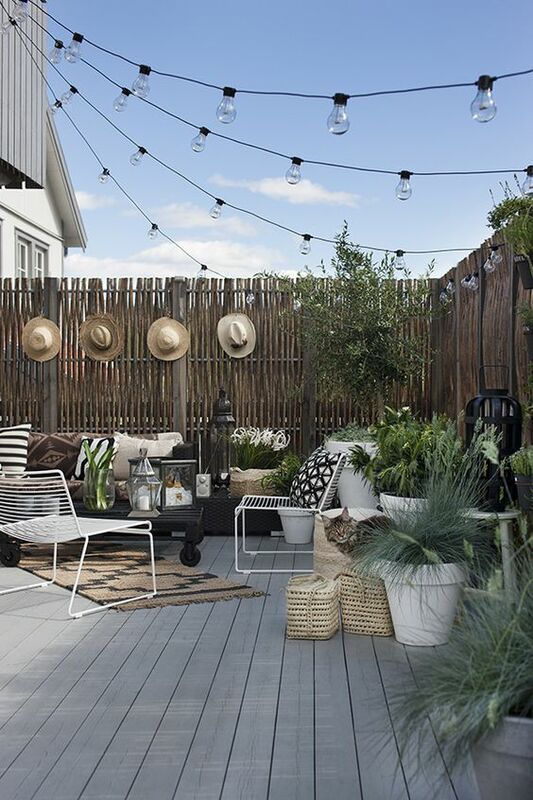 Well, to get you started, here are some inspiring backyards that will give you lots of ideas for sprucing up your backyard! 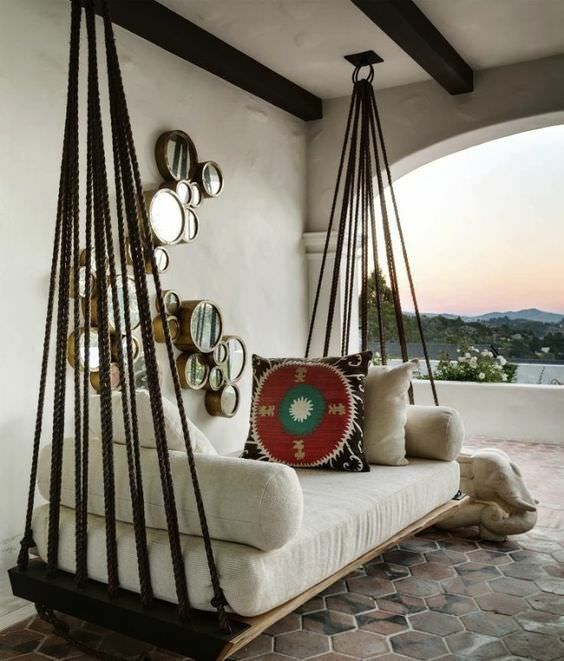 Rugs are a great way to make your outdoor space feel more like a comfy interior, but a great way to get the look of a rug without the maintenance is to paint the concrete! Love the built in seating! Orient your seating under a large back yard tree. The tree creates a canopy for shade. Are you seeing a trend here…? Look at all the string lights. Its great to have a layering of lighting (see our past blog on outdoor lighting), like chandeliers, garden lighting, and even strings lights. Check out these great swing ideas! PLANTERS! Not only should you have some fixed flower beds, but add pots and planters, this adds some depth to the space. Slat walls are perfect for creating barriers as well as bringing in a vertical element to your space. 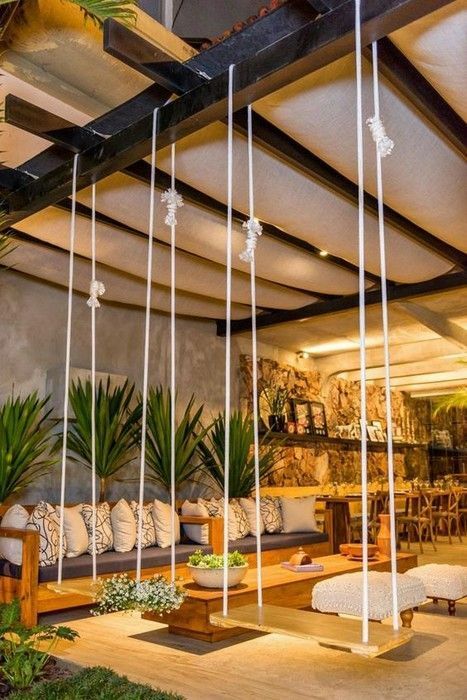 AND you can hang lights or grow plants on them!